Let’s face it, if users don’t understand your app, they’re not gonna use it! This is where it becomes extremely important to implement effective onboarding. When the onboarding process is designed the right way, the likelihood of conversions is definitely going to be higher. Gather profile information that can be used for delivering personalized content and notifications. 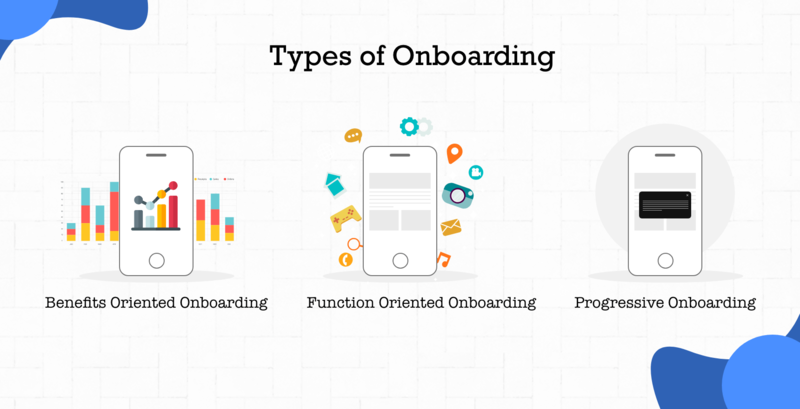 Yes, there are more than one types of onboarding! The type of onboarding your app needs would depend on your app, your business model, and the kind of users you are catering to, among other things. In this kind of onboarding, the basic idea is to demonstrate to the user the benefits or value that the user stands to gain by using the app with the aim to encourage conversions. In this approach, the onboarding process describes what the app can do without expressly letting the owners know how to use the app. This approach focuses on app functionality teaching the user how they can use the app. To be precise, a function-oriented onboarding demonstrates to the users how to get started and how to perform common actions. As the name suggests, progressive onboarding means that the users would see new information as they progressively navigate through the app. This means that the information that is displayed on the screen at the time is in relevance to the page the user is on. A strong onboarding process that is designed well is essential for the success of an app and can have a positive impact on the retention rate. The process when executed well helps you build strong relationships with the users. 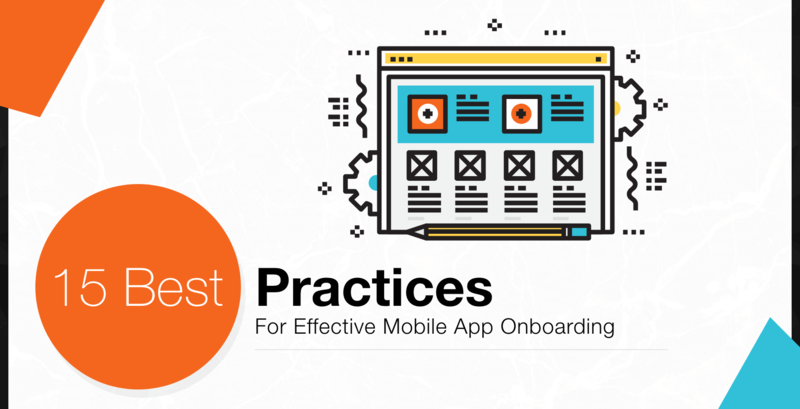 Listed hereunder are the best practices that you must keep in mind while designing your own app onboarding process. 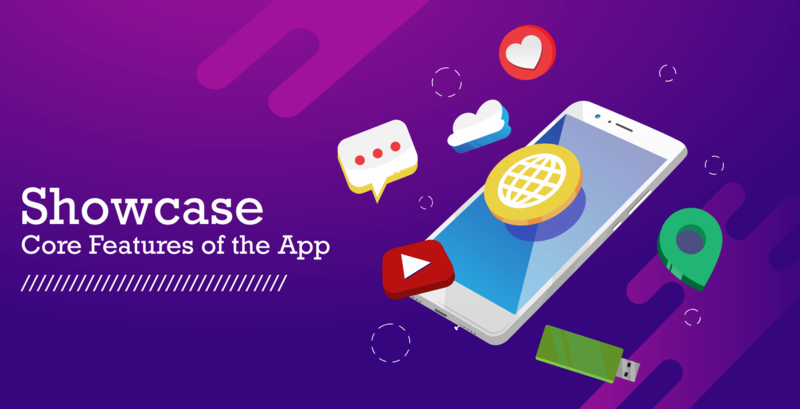 It is a common mistake among app developers to simply tell the users all about the awesome things about their app, when they could have showed them all how the app can change their lives for better. People don’t care about features – they care about what can be done with these features. Hence the value of your app should always be at the top of your list! It’s true that all those exciting features and impressive functionality is important, but if you really want to win customers for a long time, you must show your users exactly what they can achieve using those awesome features. The thing is that each one of your app users have downloaded your app with a reason in mind. It is, therefore, critical that your onboarding process shows that the app will meet their expectations. Hence, you must always focus on the benefits or the value you are propositioning with the app, not the features. Now, when I say that you need to highlight the value, it does not mean that the features should remain brushed under the carpet. 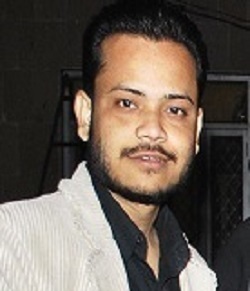 The users must also understand the key functionality or the core features that you have built your app around. When you showcase the core features of your app that will help them complete the task they plan to accomplish by using callouts and highlighting the core features in your app. However, in doing so, remember not to go overboard and dump the whole bucket! It is important that you pick and choose only a few of the most important features that make up your app. When it comes to those features that you really want to flaunt (coz they’re cool but not really that essential), you can think about introducing them on subsequent launches, a couple at a time. This can easily be done later on through the use of in-app messages. It is common for some apps to require data access or messaging permissions so as to provide only the best user experience and value. If your app is one of them, then you would have to ask the users to grant your app access to this data through the use of permission requests. Of course, when you need it, you must ask for these permissions, but make sure that you do not bombard the users with permission requests right at the beginning of the app onboarding process. As per a recent study, 60% of the users say that they chose not to install an app once they found out how much personal information the app asked for. To avoid this from happening to you, it is a good idea to only ask for the information that you really need – that’s it! Also, let the users know exactly why you need the information that you are asking for, or the access you are requesting. If you are having trouble with this, you can read our post on how to create app permission requests no one can say no to! App onboarding is crucial, but that doesn’t really mean that you dump a dozen screens on the users which they have to slide through to get to the real deal. This can really ruin the entire user experience. Text-heavy explanations tend to overwhelm the users and it is better to go for app screenshots and illustrations to communicate the message. While you may be excited about all those brilliant features you added to your app, make sure that the users are introduced only to one feature per screen. Using coach marks can help new users understand how the app works and how to navigate within the app. Like screenshots, you should make sure that there should only be one coach mark at a time to avoid pointless clutter on screen. Sometimes it is important that you include a tutorial in your app, but this can get tricky and have an impact on the whole user experience. One effective way to do this is by gamifying the whole experience. Add rewards to the experience every time you include a walkthrough that you simply cannot avoid adding to your app. If getting the users to sign up to your app is critical to you and the intent of your app, then the way you design your sign-up process can be quite a challenge. Ideally the sign-up process you include in your app should be fast and easy. Giving the users an option to sign in to your app through existing social media accounts including Facebook, Google +, Twitter or even Instagram reduces a lot of friction in the onboarding process introduced by the sign-up mandate. Doing this lets the users sign up in just a single or maximum two clicks, and more importantly there is a certain sense of trust associated with it. Here, you can actually experiment quite extensively with the login options that you are providing, who knows you might end up being motivated enough to remove the sign-up feature altogether. In fact, if yours is a relatively unknown app or a brand new one, it is better to offer the users access to the entire contents of the app, before signing up. Relax! If they really like your app, they are going to sign up anyway. When your users have access to all your content, they of course have a better user experience and you get a higher engagement number! According to this report here, almost about three-fourth (72%) of the total app users wanted the onboarding process to take a maximum of one minute, the shorter the time, the better. It only follows that each second you add to the process would be your proverbial nail in the coffin. Do not ask for unnecessary information. (you don’t need a user’s email if you have a flashlight mobile app. Offering long winded tutorials right at the beginning brings forth a challenging usability issue – making the user work right at the start! In this scenario the users have to read all the information while trying to commit it all to their memory. It is a proven fact that the human short-term memory cannot retain a lot of information, so even if the users do decide to go through the entire tutorial, the chances of them remembering it all are pretty thin. It would do you well to remember that users are not signing up because they want to learn about the innerworkings of your app, it is because they want to get the value that your app promises to deliver. When you offer contextual instructions, the users get helpful information at the point of user action so that they get the guidance specific to the user’s point in the journey. The biggest value of an app or a website is the content that it provides, and most of the clients use the apps primarily for the content. Hence, it is important that you pay attention to the way the empty states are designed. Empty states are the places in the user journey where a user might not have added or generated any content yet. This is a great point where you may introduce some onboarding to continue guiding the users along. You mustn’t leave this space blank, instead use it to your advantage and educate, guide, and prompt your app users. 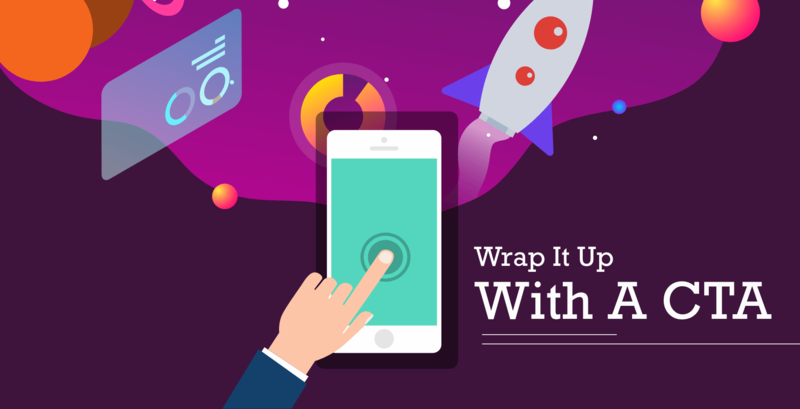 This way you can encourage your app users to engage with your product by helping them get comfortable by setting realistic expectations and by providing a clear way to move ahead. Positive experiences encourage the users, especially when they are using your app for the first time increasing the chances of them using your app again. The exact moment when a user completes an important task for the first time is an opportune moment that you can use to create a positive emotional connection between them and your app. Celebrate success with the user! For example, when your users accomplish a task or complete their first action within the app, you can reward them with an animation and congratulate them. Now, the timing of this moment is critical. If the user achieves their first success quickly, chances are that they are likely to stay. If, however, the app users do not get that initial hit of success, chances are they will churn. Design your app onboarding process in a way that would push the users to achieve their first success really quickly. This will automatically increase your retention rate. Another good idea is to get people to keep using your app is to offer them something valuable in return for completing the simplest of onboarding tasks like completing a profile or making a first purchase. This could be anything from in-app currency or rewards points, free shipping, discount or anything you can think of. Like any other process, the impact or success of your onboarding process needs to be measured as well. The metrics you choose are critical in figuring out whether your current user onboarding is successful and which aspects need to be improved. The first thing to do here is to define the metrics like activation metric or even metrics to measure user retention. Apart from this, you would also need to employ special tools to test your onboarding. There are features like heat maps, scroll maps, statistics and analyses of in-app behavior that can be used to draw insights about the user experience. Another point to ponder is that although these tools can give you all the numbers or stats that you may need but are stymied when it comes to qualitative insights you would have to collect detailed feedback from the users. This could be done by observing your app users or talking to them. You can conduct in-depth customer interviews and then analyze all this response you receive. One more option is to test launch your app and judge how a smaller user group reacts to your onboarding flow. 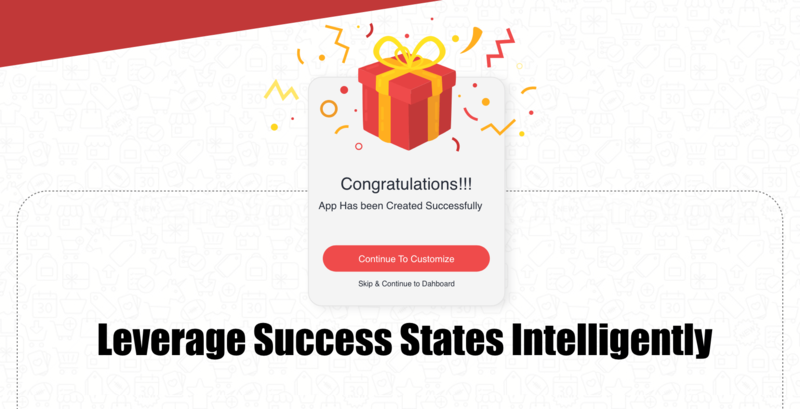 When you have these insights in front of you, it will help you tweak your app to suit the needs of the target user group, perfecting it gradually. Though a considerable number of customers find an onboarding process of great help, there is a percentage that may not find it so charming. These customers or app users may not want the handholding that you are offering through your onboarding process. The tech-savvy customers in particular may want to dive straight in to the real meaty content and features that your app has in store for them and not even be interested in the grand tour you have painstakingly created. According to CleverTap, the music streaming app Vevo found out that after adding a skip option to their onboarding flow, the number of logins to their app increased by 10% and the number of successful sign-ups went up by about 6%. So, when you are A/B testing your app onboarding, you should seriously consider running an experiment which lets the users skip the entire process or parts of it, so that you understand what works the best with your app users. 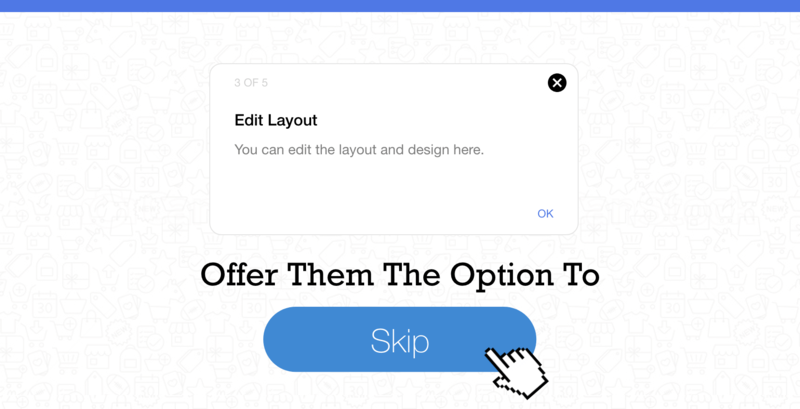 Offering the users an option to skip, gives them an option to leave the onboarding flow, as soon as they feel they are ready to start using the app. this way, when they get frustrated with the mobile app, they can skip the onboarding flow instead of shutting the app down and looking for a less tedious alternative to your app. Another smart thing to do, that I cannot stress enough upon is to make sure that your walkthroughs or onboarding flows do not end up as instruction manuals. If your app needs the users to remember a number of things to be able to use it, they are not going to continue using it for long. One of the most effective and fastest ways to help your app users discover the core value offered by your app is to offer a holistic app experience before you ask them to sign up or pose any such barrier. If you have an ecommerce app, let the users see what you have in store for them, if you have a video streaming app let them browse the titles and some of the content, and if you have a hotel listing site let them take a look at all that they can rent out after they sign up with your app. The point is that the app users are willing to share their personal details only if they think that the content you are going to offer them is worthy of their time. When the app users get a “test drive” of all that they are going to get, they might be enticed a little more readily to commit. On a side note, once your users sign up or create an account with you, take the opportunity to get to know them. For example, if you have a video streaming app, you can ask your app users about the music genres or artists they love listening to. This way you would have a clear understanding of exactly the kind of music they would be interested in. once you have this information then you can even engage with them outside of the app, through emails and retarget them, if they were to abandon your app ever. This post is all about onboarding on your app, but that doesn’t mean everything you do should only be inside the app. In fact, you would have to engage new users on a number of channels simultaneously motivating them to come back to your app and exploring it. These channels may include emails, push notifications, and in-app messages. The most effective onboarding is the one that uses a balanced combination of these three and help the users experience the core values or features of the app and encourage them to complete the onboarding process. It is important that you do this in a personalized manner and send out content or messages that are relevant to the actions that the app user took within the app. If you send out a templated message, there isn’t much value that the app user would see in it. The messages you send must clearly motivate them to take the next step whether it is completing the registration, posting content, or consuming content. Irrespective of the channel you take up, the message that you are sending out to the users should be simple and direct so that the call to action is clear. Neither should you bombard a million emails and spam your app users, nor should you try and include every single feature in a single email. The commitment level and the involvement of the app user in the initial stages is minimal, and they may run into multiple issues while getting started. A personalized message through an email, push notification, or in-app message is highly likely to bring them back to the app. In fact it has been proven that the app onboarding campaigns that include push notifications, and an additional message through a different channel like email, in-app message etc. during the first week of installation can increase the retention rate by more than 130% over 2 months. Templates just don’t work! The world of marketing is super crowded and if you are sending out messages that are generic and deliver no real value to the customer, chances are that you are going to be lost in the humdrum marketing noise. Personalization at each stage, for every activity is the single most effective way you can help your brand stand apart from the crowd. This is why it is important to personalize everything you send out right from the onboarding phase. This might be a little harder for some apps more than the others, but it is important that you keep an eye out for any opportunity that might emerge. This is what ultimately sets the tone of the kind of personalization which would give your brand a competitive edge. If your app needs a lot of instruction and there is no way to avoid that, you can avoid all the confusion with progressive visual hints. The idea is to place the hints strategically on the spots that you foresee the users running into some trouble and wonder what to do next. The basic idea is to use your onboarding flow intelligently to help the users move forward. While designing the progressive visual hints you must signal the total length of the flow like the number of steps so that there is some transparency. Above all, a good onboarding flow would let the users learn by doing. It is no secret that the best way to learn anything is by doing it. So, if you are offering endless instructions through videos or manuals, chances are, not many people are going to sit through it. Guide your app users to help them complete the actions, you want them to take and let them do it as they go about exploring your app. As your onboarding process comes to a close, it is wise (in most cases) to include a CTA, so that users have a natural step to take next. As soon as your onboarding process is over, offering a well planned and contextual CTA would get the user involved in the app. Once they are involved, it helps them continue to mature as engaged users and lets them get excited about your app. It is unwise to assume that an app user would be motivated enough to take the first step on their own. In fact, even if they were, a little nudge in the right direction never hurts. If the app users are presented with a contextual CTA, the chances of them taking the relevant action are higher. When you are designing the whole onboarding process, it is important to keep in mind that the intent of this process is to make it easy for the app user to start using the app and not overwhelm them. They should be able to go through the entire onboarding flow without getting frustrated or confused and should look forward to completing the process before diving into the real content. Also, one of the most important things here is that the users should always have the option to skip the onboarding process, it should not be enforced. Do you think we missed out on something here? Let us know what onboarding technique has really helped you out in connecting better with your customers. Have you built your app already? Try out no code app building on Appy Pie and see your business soar above them all!